A lot of you are cringing at your healthcare costs. You’re not alone. But don’t put your head in the sand. Do something, because some of you need to sign-up soon to avoid fines and penalties. Let me give you some new information that will help you and help you understand why this is happening. Two articles are showing the changes in healthcare – one good and one not good — I’ve been predicting for more than a year now. 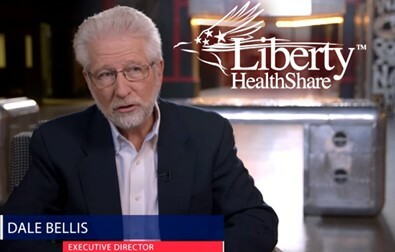 Here’s an interview I did with Dale Bellis, the executive director and co-founder of Liberty Health Share, about these two articles and the trends they portend. The first article was in the New York Times. It explains a recent survey by the Kaiser Foundation that showed — even people who are insured are facing crushing debt. 20% of the people under 65 — with health insurance — had trouble paying their medical bills. They have high deductibles to meet — first — before insurance kicks in – sometimes upwards of 10-thousand dollars. Then they have co-pays or caps on how much insurance can pay. Insurance is a middleman that needs higher costs to pay for administrative costs, employees, and shareholders. Insurance companies are merging or closing reducing the supply which combined with a growing demand leads to higher prices. We have a repricing mechanism that gets to the actual cost of a healthcare service that is economically fair and acceptable from nearly all medical providers. What’s also fascinating in that study is only 53% — with no insurance – were having problems. I say only 53% because you would think 80 or 90% would think that way. But escaping health insurance isn’t a bad idea for some folks. Dale explains that in the interview as well. The second article was from the Wall Street Journal about the growth of members in medical cost sharing or healthcare sharing ministries like Liberty Health Share. Dale reports a 6-fold increase in Liberty Health Share members in 2015 alone. You can see the numbers here in an earlier post. Granted, there are only about a half million Americans involved in medical cost sharing which is small compared to the number of people in health insurance, as the article points out. Medical cost sharing takes healthy people away from insurance companies who allegedly have to take everyone. But Liberty Health Share does take members with pre-existing conditions. Another concern was that health share ministries are not regulated. In fact, they are regulated and watched by a number of agencies both federal and state. And since Liberty Health Share is a non-profit, the company’s financials are public record. For the record, I am a member of Liberty Health Share and my company works with them on videos and other marketing activities.